Swami Vivekananda Quotes in Hindi: Swami Vivekananda was a great saint and leader. He was born in Kolkata on January 12, 1863. His original name was Narendranath Datta. His parents were Vishwanath Datta and Bhuvaneswari Devi. He was an extraordinary child. He had deep interest in spiritual thoughts. He cleared the entrance exam from Metropolitan School. He completed Bachelor of Arts from Scotish Church College in Kolkata. At a young age, he got the opportunity to meet Ramakrishna. This was an important event of his life. He started visiting Ramakrishna at Dakshineswar. Later on, he became a disciple of Ramakrishna. Ramakrishna was a priest of Kali Temple at Dakshineswar. Make that one idea your life. Think of it. Dream of it, Love on that idea. Let the Brain, muscles, nerves, every part of your body, be full of that idea. And just leave every other idea alone. This is the way to success. एक विचार लो. उस विचार को अपना जीवन बना लो – उसके बारे में सोचो उसके सपने देखो, उस विचार को जियो. अपने मस्तिष्क, मांसपेशियों, नसों, शरीर के हर हिस्से को उस विचार में डूब जाने दो, और बाकी सभी विचार को किनारे रख दो. यही सफल होने का तरीका है. If you lose, you can guide! उठो, जागो और तब तक नहीं रुको जब तक लक्ष्य ना प्राप्त हो जाये. An excellent person in this world. Everything is easy when you are busy. But nothing is easy when you are lazy. How can I hate anyone at the Glimpse of a few faults. 8. Anything that makes you weak physically, intellectually and spiritually reject as poison. शारीरिक, बौद्धिक और आध्यात्मिक रूप से जो कुछ भी कमजोर बनता है -, उसे ज़हर की तरह त्याग दो. Build your hope on none. 11. In a conflict between the heart and the brain, follow your heart. दिल और दिमाग के टकराव में दिल की सुनो. 12. Let men have light, let them be pure and spiritually strong and educated, then alone will misery cease in the world, not before. 13. You cannot believe in God until you believe in yourself. जब तक आप खुद पे विश्वास नहीं करते तब तक आप भागवान पे विश्वास नहीं कर सकते. 14. Relationships are more important than life, but it is important for those relationships to have life in them. 15. Strength is life, weakness is death. शक्ति जीवन है, निर्बलता मृत्यु है. विस्तार जीवन है, संकुचन मृत्यु है. प्रेम जीवन है, द्वेष मृत्यु है. 16. Believe in yourself and the world will be at your feet. 17. What is the reason for every misunderstanding. Vivekananda, the reason is, we see the people as we are, but not as they are. 19. You cannot believe in God until you believe in yourself. You have to grow from the inside out. None can make you spiritual. There is no other teach but your own soul. तुम्हे अन्दर से बाहर की तरफ विकसित होना है. कोई तुम्हे पढ़ा नहीं सकता, कोई तुम्हे आध्यात्मिक नहीं बना सकता. तुम्हारी आत्मा के आलावा कोई और गुरु नहीं है. Stay tuned for such collection with images. Don't forget to share it. 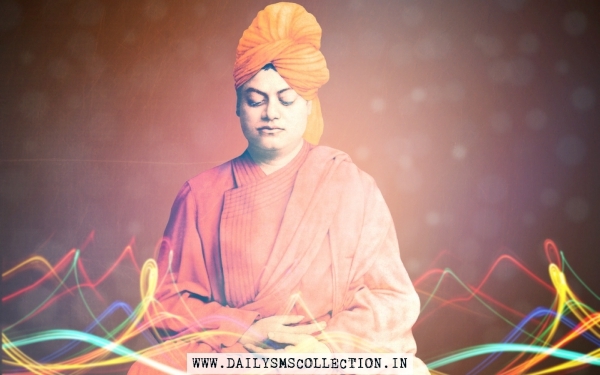 Vivekananda Slogans, Swami Vivekananda Quotes on Education, Love, Youth, Students, Success, Life, Fear, Swami Vivekananda Images with Quotes.